Do you still have a DVD player in your home resting besides your HD TV? If yes then you are still watching movies from a DVD disc on your DVD player. We live in a digital age today and we have various alternatives to watch movies. These alternatives include watching movies on internet, NetFlix or Amazon Prime Video. But you can not always purchase movies from NetFlix or Amazon Prime Video. And for watching and downloading movies from these video services you need an unlimited internet connection. For that you may need to pay a good chunk of your money. Most people download high definition movies via torrenting. But let me tell you that torrenting has been banned around the world and most ISPs track their users for such activities. So you are now left with two options, watch movies online or buy from NetFlix or Amazon Prime. The second option is to buy a DVD or a Blu-Ray disc of your favourite movie and watch it on your DVD or Blu-Ray player. You can always purchase a DVD or a Blu-Ray disc for a newly launched movie. However it takes time to reach the market. If you have a good collection of DVD and Blu-Ray Discs then you should convert these movies to a portable movie format that can be played on PCs, HDTVs and smartphones. As you know a DVD or Blu-Ray can't stay with you forever because most of them will corrode overtime and normal wear tear like scratches ruin the data on such discs. So its a wise decision to convert the movie files in these discs to a portable video format like MP4 which is supported by almost every PC, smartphones and most HDTVs in this world. So, here in this post we are introducing DVDFab 10 which is an all in one DVD Ripper, Creator, Converter and Copier for Windows. With DVDFab 10 software you can rip all your DVDs and Blu-Ray discs and save the converted movies to your PC, smartphones, or external hard drives to create your single digital movie library. DVDFab 10 is an all in one DVD/Blu-Ray ripping software. It can also be used a video converter, video editor, and disk copier. DVDFab 10 is developed by Fengtao Software Inc (Beijing, China) which is developing DVD copy/burning/ripping/converting software since 2003. There software supports Intel Quick Sync technology, Nvidia Cuda and AMD GPU acceleration for dedicated video processing and converting the videos at a faster rate as compared to older processors. Below is a screenshot explaining all the functions of the DVDFab 10. One good thing is that all the necessary functions can be found at one place. However the black background is, that you may not like, but we have asked developers to change it to a light background. You can access the four main tools from the main screen. These main tools are 'Copy', 'Ripper', 'Converter', and 'Creator'. We will be mostly using the DVD ripper and converter. The creator tool can be used to create a DVD/Blu-Ray disc from any movie file. You can create a DVD/Blu-Ray from videos captured through your digital DSLR camera. DVDFab 10 has inbuilt profiles for various smartphones. You can convert your DVD movies according your iPhone's screen resolution. All you need to do is to select your phone from the list and it will apply pre-configured profile for your phone. This saves time and you don't need to set screen resolution or change any setting during conversion. Currently DVDFab 10 supports gaming consoles, smartphones, VR headsets from 14 manufacturers including Samsung, Apple, Microsoft, Google, HTC, LG, Nokia, Motorola, BlackBerry, and Barnes&Noble. You can rip your DVDs and Blu-Ray for popular gaming consoles like PlayStation 4, PS3, Xbox 360 and Xbox One. You can download videos from YouTube, Metacafe, Vimeo, Veoh and directly convert them to your desired format. 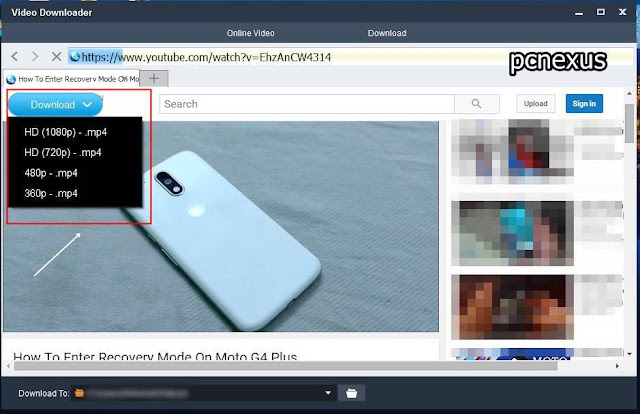 Intel Quick Sync Video which is a built-in feature in 3rd generation Intel core processors. The Intel Quick Sync uses dedicated video processing for converting them at a faster rate. So, this is an added advantage which will unlock the full video converting potential of your Intel CPU. The same thing applies to your Nvidia GPU. DVDFab 10 uses your Nvidia GPU's CUDA cores for faster processing and converting the videos. DVDFab 10 lets you choose your burning ROM among NERO, VSO and ImgBurn. The default burning ROM is provided by the DVDFab 10. 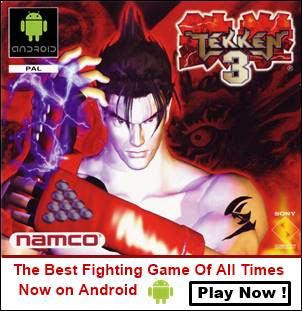 To select your burning ROM go to 'Settings>Drives>DVD Write>Burning Engine'. Click it and select your favourite disc burning ROM from the list. DVDFab 10 provides a vast list of settings that you can configure yourself if you are an advanced user. However default settings will also work great. You can change several settings for DVD/Blu-Ray like removing CSS, RC (Region Code), RCE etc. You can also remove Cinavia protection in case of Blu-Ray discs. There are many settings that you can change according to your needs if you are an advanced user. Ripping and Converting both are same. But when we use a DVD/Blu-Ray as a video file source for video conversion then the converting process is called DVD ripping. But when we directly use a video file from a hard disk or any storage device then this process is simply called video conversion. So we will show you how to convert videos and it will automatically cover the DVD/Blu-Ray ripping procedure. See the image below before converting a video. Open DVDFab 10 and click 'Add'. If you insert a DVD/Blu-Ray then it will be automatically read by this software. To remove the file click the 'x' delete button. Then click the button just before the 'Add' button where you are seeing 'Samsung Gear VR' in the above image. Clicking this button will let you select the video format or device from the list. See the image below. When you click 'Format' then then 'Video' tab will be auto selected and you can select any video format like AVI, FLV or MP4. You can click '3D Format' if you are converting videos for a 3D TV or a 3D device. To launch device specific conversion click 'Device' then select your device manufacturer. Suppose you have Apple iPhone 7. So first click 'Device' then click 'Apple' in left panel. Then select 'iPhone 7'. Before conversion click the 'Video conversion settings' that is the 'wrench' button to change conversion settings if you are converting videos for unlisted devices. You can change the screen resolution of the video, video quality, audio, frame rate and encoding method. See images above to locate the 'wrench' button. See this image below to change settings. Now click 'OK' then click 'Start'. A new converter window will open. Wait for few minutes till the conversion completes. Video conversion will depend upon the file size. If you are using Intel CPU and Nvidia GPU then this will not take much time. Since DVDFab 10 supports Intel Quick Sync and Nvidia CUDA. These two technologies perform the video conversion at a faster rate. When the conversion is finished click the folder next to the converted video. From this folder you can copy or move the file to your phone or external hard disk and play them on any media player. Please head over and see the images to find the video editing button. To edit a video first add it then click the 'Video editor' button. Scroll above and see the second image from the starting of this post. When you click the editing button a video editor will like this below. You can see editing options like 'Trim', 'Crop', 'Watermark', 'Subtitles', and 'Video'. In the 'Info' section you can rotate the video and change the 'Aspect Ratio'. Click 'Trim' to cut a video and see the image below. To quickly select the trim section use the trim slider below the play button. Move the two white points forward or backward to select a trim section. Alternatively if you don't want to use the trim slider then use the trim start and end point markers. You can play the video from anywhere and mark trim points. You can click the 'Invert' button to invert the trim select. Suppose you have selected the trim section of your video so if you click the 'Invert' button then DVDFab 10 will skip that trim section and select other parts of the video. The inverted trim section will automatically merge different trim sections. Finally click 'OK' then click 'Start' to convert your trimmed video. Similarly you can check other editing options like 'Crop', 'Watermark', 'Subtitles' and change the brightness, contrast and saturation in the 'Video' tab. You can download online videos from YouTube, Vimeo, Veoh, Metacafe, FC2 and niconico. To download and convert videos please follow the steps below. Click the 'Converter' tab from main tools and then click 'Download'. A new browser page will open. Go to YouTube and play your video. You will see a blue 'Download' button on top left. Click this button and select the video quality. Click the 'Download' tab to see the download progress of that video. Click the folder button to locate that video and also click 'To Creator' if you want to convert this downloaded video. Download and install the DVDFab remote app from this Google play store link. Make sure your PC and phone is connected to same Wi-Fi network. 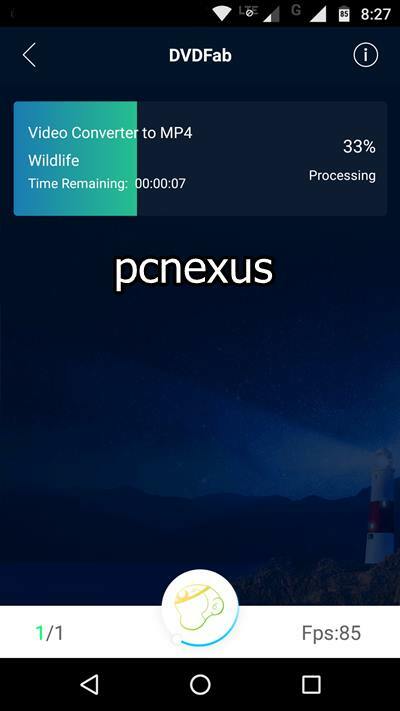 Now open the app and it will automatically scan your PC. Tap the 'DVDFab 10' on your phone to make a connection. Now whenever you convert videos you can track the conversion on your android phone. All in one DVD/Blu-Ray ripper, converter, creator and copier. Built in video editor lets you trim, crop, watermark your videos. You can also rotate videos. Supports Intel quick sync and Nvidia CUDA for faster video processing. Lets you track progress via a remote app on your phone. Supports majority of smartphones, VR headsets and gaming consoles with pre-configured video conversion profiles. Try for 30 days before you buy. Easily converts dual audio movies with an option to keep at least one audio. DVDFab all in one suite will cost you $199 per year. You can purchase their products separately. Like you don't need to purchase entire suite if you just want to use the DVD ripper. So only buy what you need. Fengtao Software doesn't have 30-day money back policy but they let you try their software for 30 days before purchasing. So this is fair policy. You can check their software e-store below. Here is a 20% Off coupon that is valid for lifetime. Use FAB-LZG-OFF during checkout to avail 20% extra discount. This was the DVDFab 10 review. If you like the article then please share it.